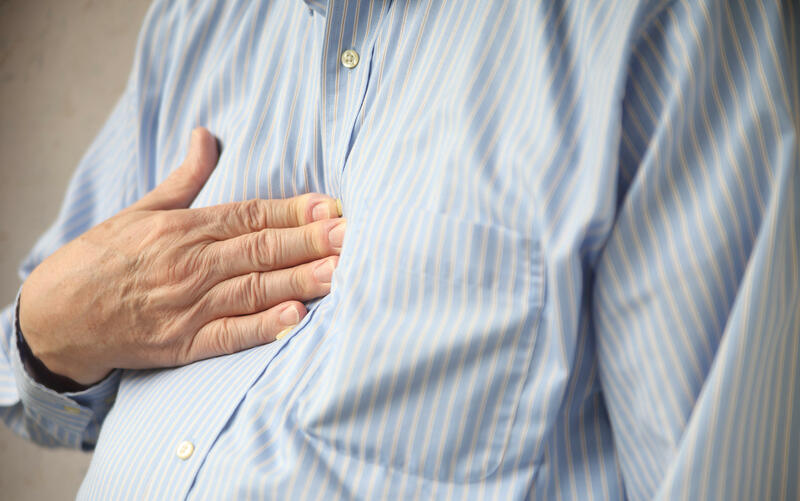 Patients who take certain heartburn medications may be more likely to suffer recurrent bouts of a common “superbug” infection, a new study suggests. Proton pump inhibitors, such as Prilosec, Prevacid and Nexium, or so-called H2 blockers, such as Zantac, Pepcid and Tagamet, were linked to a 50 percent increased risk of developing multiple Clostridium difficile infections, researchers found. However, the study did not prove these heartburn medications cause recurrent C. difficile infections, just that an association appears to exist. And one specialist not involved with the study said the findings won’t make him change his prescribing patterns. C. difficile can cause diarrhea and life-threatening inflammation of the colon. In the United States, about half a million people get sick from C. difficile each year. In recent years, these infections have become more common, more severe and more difficult to treat, according to the Mayo Clinic. “Gastric acid suppression medications are commonly prescribed and consumed over-the-counter for gastric reflux disease [GERD], peptic ulcer disease or functional dyspepsia, but they are also sometimes prescribed for unnecessary indications, which leads to overuse of these medications,” said study lead researcher Dr. Sahil Khanna. He’s an assistant professor of medicine at the Mayo Clinic’s division of gastroenterology and hematology in Rochester, Minn.
Recurrent C. difficile infection is a major problem, with the risk as high as 50 to 60 percent in people having had three or more infections, Khanna said. C. difficile most commonly affects older adults in hospitals or in long-term care facilities and typically occurs after use of antibiotics, he said. But recent studies have shown increasing rates of infection among younger and healthier individuals without a history of antibiotic use or exposure to health care facilities, Khanna said. He speculated that the suppression of stomach acid might affect the bacteria living in the gut in these people, leaving the door open for C. difficile. It’s also possible that those taking acid suppressors may be in worse health than those not taking them, which in turn might make them more susceptible to infections like C. difficile, Khanna said. He thinks the best way to prevent recurrent C. difficile infections in these patients is to curtail the misuse of these drugs. “Patients with C. difficile should be reevaluated to assess the necessity of using gastric acid suppression medications,” Khanna said. The report was published online March 27 in the journal JAMA Internal Medicine. One specialist not involved with the research doesn’t think doctors or patients should be concerned about these findings. “My advice to patients is not to change anything and not be concerned — there are no warning signs or bells going off that would warrant any further discussion,” said Dr. David Bernstein, chief of hepatology at Northwell Health in Manhasset, N.Y.
To come to their conclusions, Khanna and colleagues analyzed 16 studies that included more than 7,700 patients with C. difficile. Among these, 20 percent developed recurrent infections. This type of study is called a meta-analysis, because it tries to assess previously published studies in the hope of finding a common thread that can apply across all of them. The weakness of such a study is that it mixes findings developed using different approaches and tries to fit them together. The researchers found that 22 percent of patients taking acid suppressors experienced recurrent C. difficile infections, compared with 17 percent among those not taking these drugs.